My first foray into Appendix N was in 1984 or ’85, in second grade — I was either seven or eight — when I read J.R.R. Tolkien’s The Hobbit. Of course, I didn’t know what Appendix N was at the time, or even what gaming was; I didn’t start gaming until 1987. But it’s my starting point all the same, and a good one. However it happened, I was hooked. 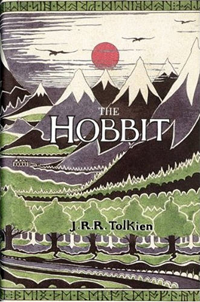 The Hobbit was almost certainly the first fantasy novel I read, and what a great first it was. I think I’ve only read it once since (an oversight I should rectify! ), but it stuck with me. I still vividly remember the scene with the trolls, and Bilbo’s encounter with Gollum, decades later. After hearing all this Bilbo ought to have done something at once. Either he should have gone back quietly and warned his friends that there were three fair-sized trolls at hand in a nasty mood, quite likely to try toasted dwarf, or even pony, for a change; or else he should have done a bit of good quick burgling. I’m not a believer in teleology, the notion of final causes — of straight lines back from a present condition to some single thing or event in one’s past — but the line from my current interests back to The Hobbit is a pretty straight one nonetheless. Star Wars played a big role, too (the first book my parents didn’t help me read was a Star Wars book of some sort; man was I pissed that they wouldn’t help! ), as did Robert Heinlein’s Tunnel in the Sky — my first sci-fi novel, and my first grown-up book. But The Hobbit was my first taste of fantasy in the classical sense, and a magical one at that. It had maps in the front, and a sense of a vast world waiting to be discovered. And it got me to try The Lord of the Rings, which I tried and failed to read several times before eventually succeeding (a story for a future post). I’ve always had a fondness for halflings in RPGs, as well as dwarves, and it’s entirely possible that both of those interests started with The Hobbit, as well. And although they’re not favorably presented (“Should any player wish to be one…”) in the original edition of D&D, hobbits — later renamed “halflings” for legal reasons — did make it into Dungeons & Dragons. And given that The Hobbit and The Lord of the Rings are both in Appendix N, it’s a sure bet that that’s where they came from. If you’ve never read it, I highly recommend The Hobbit. It’s a quick read, suitable for younger kids, and makes a great point of entry into Appendix N.
It’s not hard to see connections between The Hobbit and D&D — really, the question is why it (and The Lord of the Rings) isn’t a Tier One book, one Gary cited as most directly influencing him when he wrote AD&D. I don’t know the answer to that question; I hope to learn it, or at least come to my own conclusions about it, over the course of this project. There were hobbits in the early printings of basic D&D, before they were changed to “halflings” to appease the Tolkien estate. There are halflings, dwarves, wizards, adventuring parties, dragons, trolls (albeit of a very different variety), quests, unlikely successes, perilous journeys and many more elements found in The Hobbit in AD&D — and in every edition of D&D, really. I think there would absolutely be and AD&D, and a D&D, without The Hobbit or The Lord of the Rings, but I don’t think D&D would have enjoyed as much early popularity, nor spread so quickly, without Tolkien and the popularity of his books. If I was going to buy The Hobbit new, I’d buy this gorgeous hardcover edition from 2007, which is pretty reasonably priced. I’ve flipped through it in the store and nearly picked it up more than once despite already owning a copy. (Update: Reader Simon Forster says the paperback version of this edition includes corrections, and is preferable; I can’t find it on Amazon.) This inexpensive boxed set, which includes the Lord of the Rings trilogy, is another good option. Alternately, I’d snag the cheapest old paperback copy I could find. 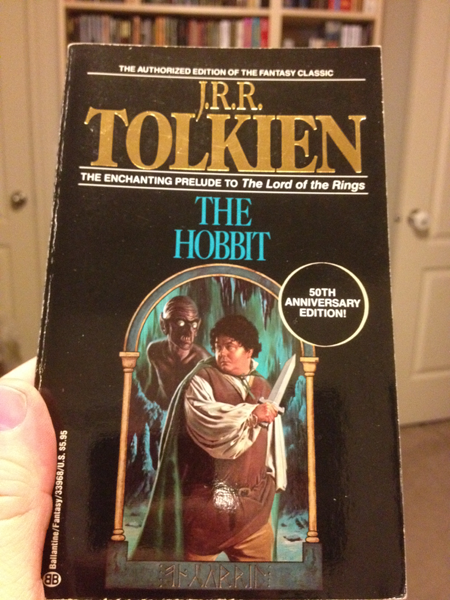 I buy a lot of my used books on Amazon, and anything reasonably popular tends to have a host of used paperback copies for $0.01 + $3.99 shipping (here’s The Hobbit in mass market paperback, with lots of penny listings). I look for sellers with feedback in the 90s whose condition descriptions suggest they’re talking specifically about the copy they have for sale, and avoid the ones with no description at all. As long as the pages are tight and the spine isn’t too cracked, old paperbacks have lots of life in them. If the fact that I’m devoting hundreds of hours to reading Appendix N, and thousands of words to talking about reading it, wasn’t enough to tip you off, I love books. If you’re reading this, I suspect you do, too. Old books and used books have a special place in my heart. I love old fantasy and SF covers, with the art direction that amounted to “Draw a space guy and an alien” and the resultant lack of any connection to their contents; the feel of soft old pages; names and other ephemera that you find inside them; and, of course, the smell. There’s no smell like the smell of old books — particularly when they’re old books you’ve read, and the smell brings back distinct memories that are all yours. 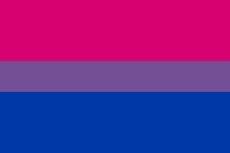 Anyhoo, this being the first Reading Appendix N post about a specific book, I figured I’d put that out there so you know where I’m coming from. Happy reading! I’d go for the paperback version of that hard-back. I believe it is the revised and updated copy, with errors amended etc. Whichever one you get, it is a great story. Good tip — thank you! I can’t find the listing on Amazon, but I’ve added a note to the post. And on the cover, I totally agree: It’s terrible! I can only assume the artist was bribed to draw his uncle, or something, rather than trying to depict Bilbo. In all likelihood, hobbits/halflings were not a part of the original D&D. (The fantasy flavor being more pulp- and sci-fi driven). But The Hobbit (specifically) and Tolkein (broadly) was enjoying such a rennaissance among fantasy fans the same time D&D was in development as a published game, it was a no-brainer to include them into the game.